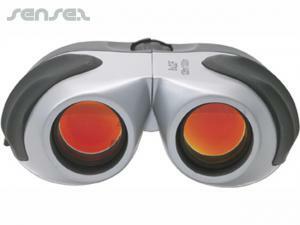 Nothing suitable in promotional binoculars? 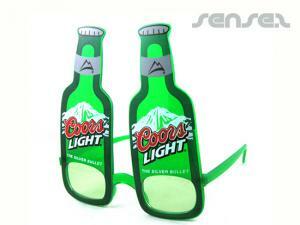 How about custom branded magnifying glasses, logo printed corporate event giveaways or one of our promotional summer event tools? 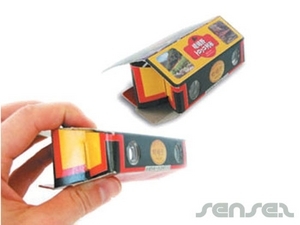 Sense2 carries a wide innovative range of binoculars from Compact folding binoculars to cardboard binoculars for mass scale event promotions! 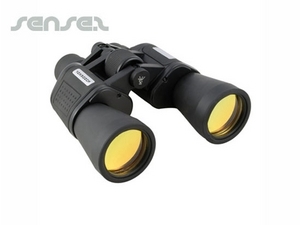 Choose from our large range of promotional sports binoculars, travel binoculars, cheap event binoculars, or metal binoculars with your custom logo print. What a great way of promotional advertising! Logo merchandise and branded binoculars will make your brand stand out from competitors and are also a great marketing tool to maintain customer relationships. We have them all! 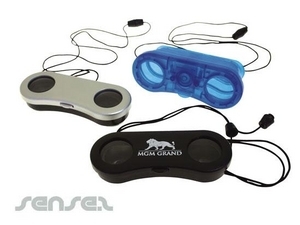 Our promotional binoculars also come in shapes such as promotional soccer shaped binoculars or promotional tennis balls, baseballs or basketball shaped binoculars or beer bottle or can shaped binoculars. All with your custom logo print. 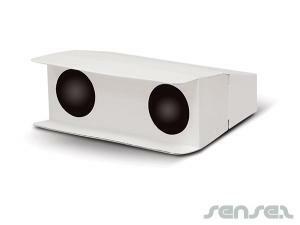 Great for event sponsorship! 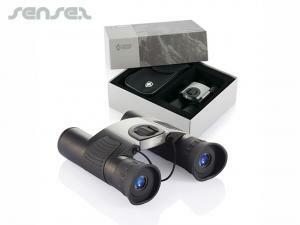 Handy and durable promotional giveaways are the pop up binoculars that come in blue, black or silver with logo print. 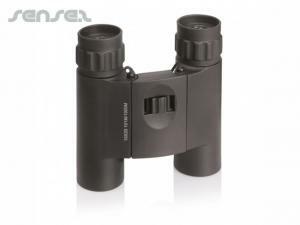 Or choose amongst our more quality binoculars with integrated radio or torch or compass sets, great for the outdoors or for adventure travellers. 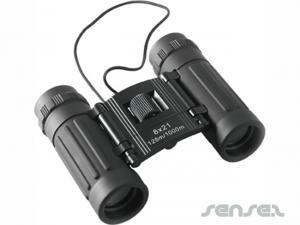 Or simply get our high quality professional binocular with 10x35 magnification in a smart brushed silver finish.